Artificial intelligence (AI) has become something of a buzzword in many industries lately. While scientists and technology advocates have long daydreamed about it, AI technology is finally reaching a point where it can be useful and adopted by many businesses and even everyday activities. You may wonder how it can be used in your auto dealership. You may have already investigated adding a chatbot to your website to assist potential customers, or maybe you’re looking into another application. One question many car dealers have is whether AI can help them sell more cars. The simple answer to the question is yes, AI can help your dealership sell more cars. 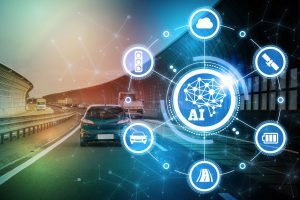 The more complex answer is that while AI can assist you in selling more cars, your success will ultimately depend on how well you leverage this technology in your business. Adding a chatbot to your website is a good example. This helpful tool is prepared to answer simple questions and provide assistance to potential car buyers at any point in time. Of course, talking to the chatbot isn’t necessarily going to get anyone to sign a purchase agreement. How does this form of AI help you sell more cars then? In essence, it helps you provide better customer service to potential buyers who are shopping around. The promptness of your responses to questions, the ease of finding information, and the ready availability of service improves the customer experience. This is all very positive. When it comes time to buy, the customer is likely to return to your dealership to get the best service. As AI continues to improve, it’s almost foretold that it will become more useful for businesses, including car dealerships. Better AI will be able to provide more services and complete more tasks, including those where a human is currently needed to complete it. The car dealership of the future almost invariably includes AI in a number of different roles. Chatbots aside, how can AI currently help you sell more cars? Another way AI is currently being deployed by car dealerships is in their marketing efforts, particularly their digital marketing campaigns. AI can help you improve your SEO and improve your targeting. So-called smart targeting involves utilizing AI technology and predictive analytics to determine what customers need. With this information in hand, you can then offer more personalized service. Predictive analytics uses available data to make predictions about what someone will do in the future. It’s a type of machine learning. Give the machine enough data, and it will make predictions about what should happen next. Take, for example, a customer who visits your website and visits pages about oil changes and maintenance-related blog posts. AI will take this input and, based on the information, suggest the customer is probably looking for maintenance packages. Instead of displaying ads about new cars and financing, the program then offers them more information about the maintenance specials your dealership currently offers. When someone visits looking for a new car, however, the AI monitors their actions and determines their needs in order to respond appropriately. In this case, it does show them information about special pricing promotions you have or tips for shopping for a new car. The correlation between marketing and sales isn’t one-for-one, so you might wonder how these AI tactics will translate into sales. The answer lies in the improved customer experience. A customer presented with a customized experience tailored to their needs is going to report more favourably on that experience. In turn, they become more predisposed to purchase from you versus one of your competitors. While AI might not be replacing your sales team any time soon, it can assist them in a number of ways to improve both your marketing and your sales figures.